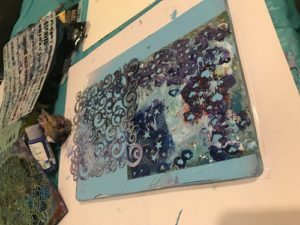 I have a new obsession…..Gelli printing. 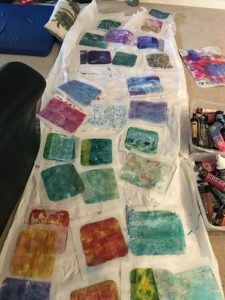 What is Gelli printing you say….well let me tell you about it. 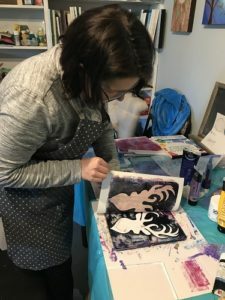 My friend Sandra and I signed up for Book of Days by the lovely Effy Wild (effywild.com) and one of the lessons showed Sarah Trumpp (one of her guest artists) with a fast paced video of Gelli printing. Sandra suggested we get together to try it and our new obsession was born. I ordered mine on Amazon but she was brave and made her own. 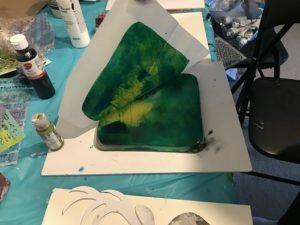 The effects that can be created with this method are so beautiful and will add so much depth and interest to our paintings. I also did this with one of my daughters and she loved it. 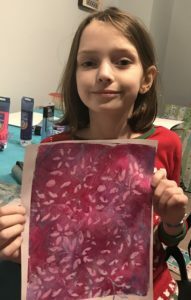 I really like it when art techniques can be used with any ages. Squirt a small amount of paint on the Gelli plate. 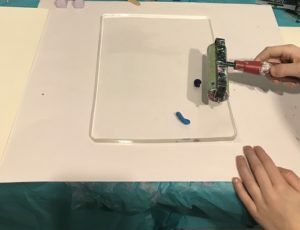 Roll the paint on with a brayer. Place the paper on, press down and lift off. 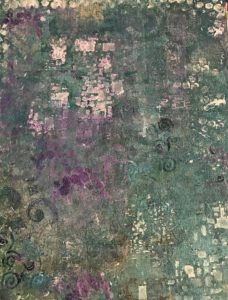 The next layer add in some texture with bubble wrap, sponges, or add a stencil on top. You can also cut out an image to use. Work from light to dark or dark to light so the layers show through. 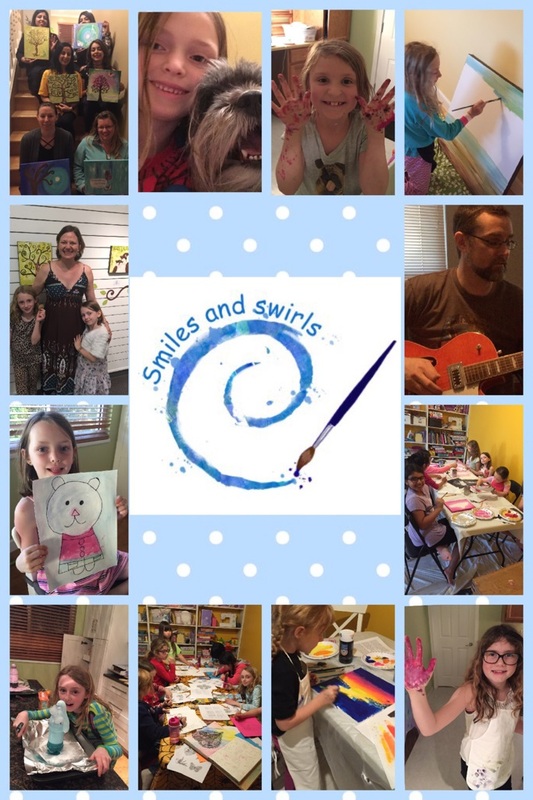 Look at all these beautiful creations ready to rip and add to a background of other paintings! 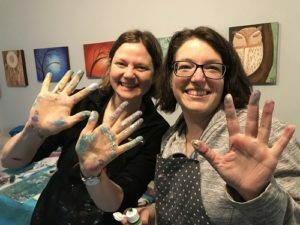 An art play date for adults is so much fun! Definitely going to do this again. Happy Creating everyone. 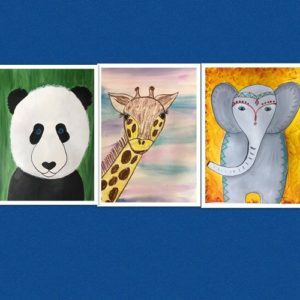 Paint and Create Animals is a 6 lesson online art course for all ages that teaches you how to use different art materials and color techniques to create paintings of animals around the world. Each lesson includes 2-4 videos of step by step demonstrations as well as sheets of fun facts and instructions. 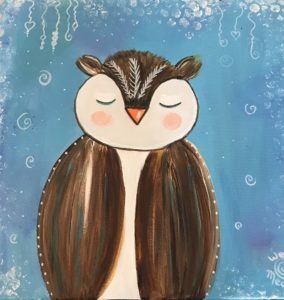 Learn how to draw animals, use acrylic paints, water color paints and oil pastels to create beautiful paintings. Please share this with your family and friends that might be inspired by this.